Zagreb is a wonderful city to visit, with numerous sights, museums and galleries to view during the day, as well as restaurants, bars and cafes for night time enjoyment. Once overlooked as a destination in favour of places on the coast, Zagreb is becoming a very popular place to visit in Croatia in its own right. In fact, we’d say it’s perfect for a weekend break from elsewhere in Europe, or for a few days at the start/end of your stay in Croatia. Zagreb is also home to many cultural events through the year – the renowned INmusic Festival takes place each June, and the Advent in Zagreb has been voted as best Christmas market in Europe three times! There are direct, scheduled flights to the Croatian capital from a number of European cities – see our Flights to Croatia and Getting to Zagreb sections for details. As befitting a capital city, the choice of accommodation in Zagreb is very wide ranging indeed. There are numerous hotels – from luxury five-star choices to more budget options – to hostels, plus many private apartments. 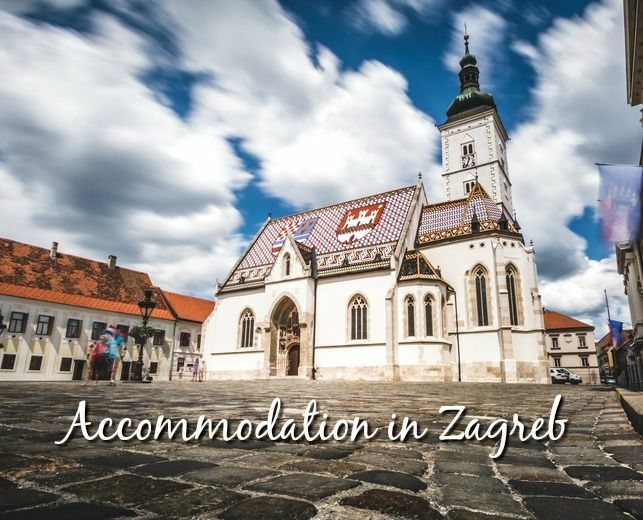 Use the search box below to search for accommodation, or take a look at the list underneath that for the very wide accommodation choice in Zagreb – for all different price ranges! Jägerhorn Great location – just steps from the main square! The following hotels are all a short drive from Zagreb Airport.Most of these hotels do provide a shuttle service (for an additional charge), although it is also easy to get a taxi from Zagreb Airport.